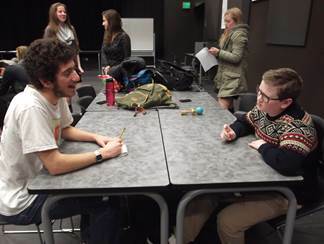 Editor’s note: Anthony Bencivengo is a senior at Nathan Hale High School. For his Senior Project, he is working with Solid Ground and the Statewide Poverty Action Network to engage his peers in the state political process. 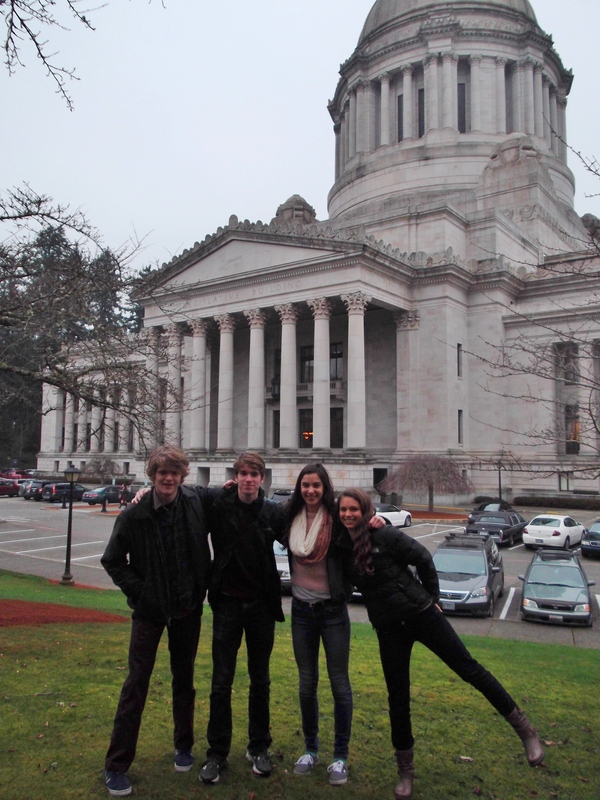 Here, Anthony reports on lobbying in Olympia with other youth on Martin Luther King, Jr. Lobby Day. The inside of the People’s House of the Washington State Capitol wasn’t quite as majestic as its facade. The corridors of the John L. O’Brien Building, where state Representatives have their offices, were hot, crowded with people, and had the slowest elevators ever. But as my group squeezed its way through, I was so excited that I hardly noticed. This was a day I’d been looking forward to for awhile. As part of my Senior Project, I organized a group of my fellow Nathan Hale High School students to join Statewide Poverty Action Network’s annual MLK Day legislative lobbying session. We, along with over 100 other volunteers, split into groups by legislative district and spread out to meet personally with our state legislators. The issues we raised ranged widely, from the unfairness of large Legal Financial Obligations (LFOs) to preserving welfare programs like Temporary Assistance for Needy Families (TANF). And the people in our groups ranged widely, too. Experienced legislative advocates (who seemed to know everyone in Olympia) helped the rest of us navigate the process. People with mental illnesses told horror stories about the drastically underfunded state agencies they turned to for help. Homeless single mothers shared their equally bad experiences with the unresponsive state welfare system. And high school students like us spoke up, too. We learned a lot from the people in our groups, particularly those with personal experiences of homelessness. The legislators we talked to seemed to be affected in the same way. “They seemed genuinely interested,” observes Robert Mercer. “The one I talked to was really supportive and enthusiastic,” agrees Naomi. They were already well-informed about many of the issues, shared most of our concerns, and pledged to work to fix the problems we had mentioned. It turns out our legislators have their quirks, too (who knew Gerry Pollet had a Lord of the Rings Pez collection?). Francis saw a sign on one Representative’s door that said, ‘Tax the rich or kill the poor.’ “I was surprised,” he says. “It seemed kind of inflammatory.” But it was also a sign that these legislators chose to enter politics not for money or power but because, like us, they are passionate about economic justice. And with our state facing problems that will take a lot of passion and hard work to solve, that was encouraging. What’s up is the difficulty of getting meaningful reform passed in a legislature where infighting and special-interest influence encourage inaction. That’s why we have to sustain the pressure on Olympia that we began to create today. This event was not a panacea. It was only the beginning of a long fight for change. But now, we feel much more empowered to make a difference in this fight. Editor’s note: Read Anthony’s earlier post on recruiting teens to come lobby, Teens going to Olympia to change the conversation, Anthony Bencivengo, 1/20/14. Editor’s note: Anthony Bencivengo is senior at Nathan Hale High School. For his Senior Project he is working with Solid Ground and the Statewide Poverty Action Network to engage his peers in the state political process. In this, the first of his reports, Anthony talks about recruiting youth to join him for today’s Martin Luther King, Jr. 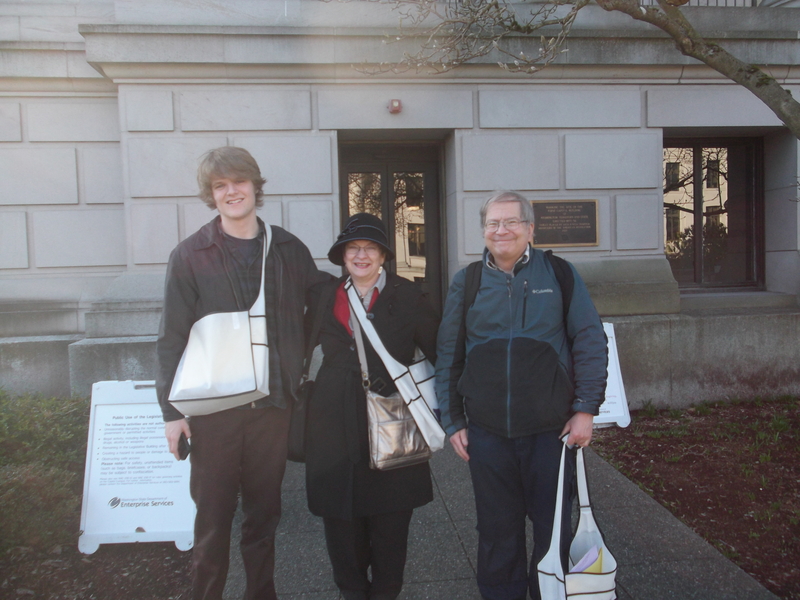 Lobby Day in Olympia. I feel it’s extremely important for our politicians to hear about these issues. That’s why, as my senior project, I’m organizing a group of my fellow Nathan Hale High School students (Robert included) into a youth contingent that will join the Statewide Poverty Action Network (a social-justice advocacy organization closely linked to Solid Ground) in its annual MLK Day legislative lobbying session in Olympia. In a few days, we’ll be meeting with our state legislators to discuss issues facing our state’s homeless and low-income communities. For me, this is an exciting opportunity. I’ve always been deeply involved with social justice – volunteering at food banks, participating in rallies and frequently writing to newspapers and my state legislators. I feel political discourse at the state level has been overly focused on cutting safety-net programs just as the Great Recession makes them more needed than ever. I hope that by speaking personally to our legislators, my fellow students and I can help change the conversation. I’m not the only one who feels this way. The group I’ve organized is filled with a wide variety of students who each bring in different perspectives and experiences. The common thread is their passion for social justice. Grace Jones’s youth group has hosted middle-schoolers from low-income housing development Yesler Terrace to speak about the documentaries they’re making about the ongoing remodel of their complex to meet safety standards. Aedan Roberts has used his status as an editor for the school paper to publish the personal stories of homeless immigrants. And the list goes on. Conventional wisdom goes that teens are lazy and disengaged, but this dedicated group of student activists is anything but. To make sure you catch the next report in Anthony’s series, please sign up to have this blog’s posts emailed directly to you! Groundviews is Solid Ground’s quarterly newsletter for our friends and supporters. Below is our March 2013 lead story; visit our website to read the entire issue online. A collegiate academic and athletic star, Johnnie Williams is a nationally-recognized track coach and mentor to thousands of at risk young people. But years ago, while he himself was at Eckstein Middle School, his mom was getting untangled from drugs and a violent relationship. Williams was close to failing out and getting sucked into the vortex of generational poverty. But when he moved with his mom and siblings to Broadview Emergency Shelter & Transitional Housing for women and their children – escaping her husband and the drugs – the family began to rebuild their lives. Williams says one of the most important aspects about Broadview was that “it was a women-only shelter, and there was no way my young brother’s dad could have any more impact on my family. For me, that was the turning point: the safety and security. Declining a prep-school academic scholarship, Williams went to Nathan Hale High School. “It was where a lot of my friends were. And a couple of Hale students were living at Broadview at the time, so I wanted to keep the connection with them.” As a young boy, Williams had taken up recreational running. By high school, he was a local track star destined for a big-time collegiate career, maybe more. Williams started college at Washington State University (WSU), far enough from his family to focus on his studies, but close enough to help if needed. Academics at WSU and then Eastern Washington University did not prove enough of a challenge, so he ultimately transferred to Columbia University, where he earned a degree in Forensic Anthropology in 2003. After graduating, he ran professionally for two years, but then another enormous life challenge knocked him off track when he was diagnosed with leukemia. Yet he even took this in stride: “I think that all of the struggles we went through made me a stronger person in general. Dealing with what I had to deal with, I feel like, if I can overcome something like that, there is nothing in my life that I can’t overcome. Whatever I do, I don’t want to fail.” So Williams regained his health and turned his energy and skills to coaching. Thirteen years later, young athletes come from across the country to work with Williams’ High Voltage Amateur Athletic Union Track Club. “As a coach and as a person, I’ve become very protective of my kids. I am understanding of a lot of situations; I know what goes on in certain households. “I’ve become a mentor to a lot of my kids and I have the same perspective as the Broadview Shelter staff: If there are issues – and there are – well you can come and talk about it and we can provide a safe environment for you. If you are looking for a turning point in your life, this is a place where you can begin. For more information about Broadview Emergency Shelter & Transitional Housing, visit www.solid-ground.org/Programs/Housing/Broadview. 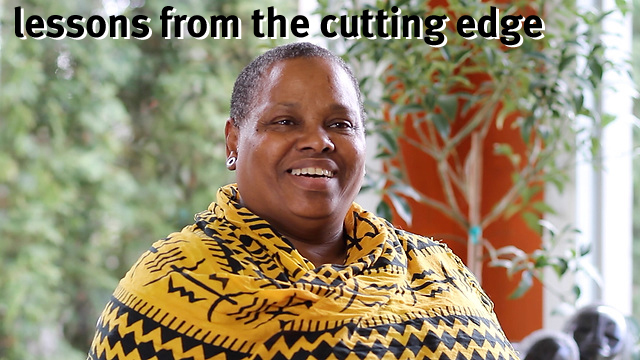 Jackie contacted Solid Ground about adding us to her great website, Jackie’s Volunteer Network, which connects high school students with volunteer opportunities in the Seattle/Tacoma area. We think it’s great and wanted to help get the word out! Hello! My name is Jackie and I’m in ninth grade. I began creating this website (http://jackiesvolunteernetwork.com/) because I wanted to find volunteer opportunities but found that difficult since most volunteer opportunities are only for adults. As a result, I decided to create this website to help other teens find volunteer opportunities as well. 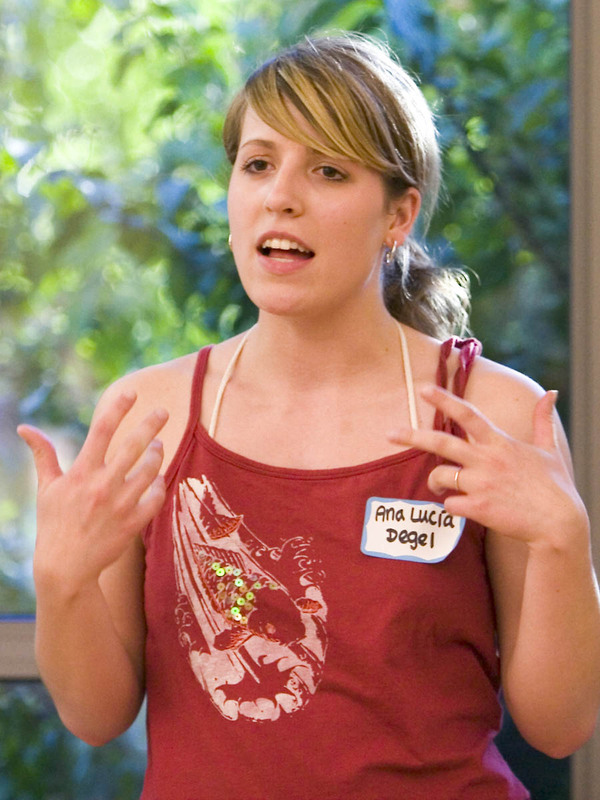 Visit jackiesvolunteernetwork.com for youth volunteer opportunities in Seattle/Tacoma! My parents kindly offered to pay for the website, and I have been building it ever since. My goal is to keep this project going and to always help teens find meaningful volunteer work. I have personally found that helping others find volunteer work is just as rewarding as volunteering myself. Over time, I have also volunteered for a few of these organizations myself. These volunteer experiences have given me the goal to continue working with nonprofit organizations. For all the teens that use my website, I hope you find these opportunities exciting and meaningful. For all the organizations who have helped me build this site, I hope you find some wonderful volunteers! If your organization has volunteer opportunities for youth, Jackie would love to hear from you! She can be contacted at jackiesvolunteernetwork@hotmail.com.